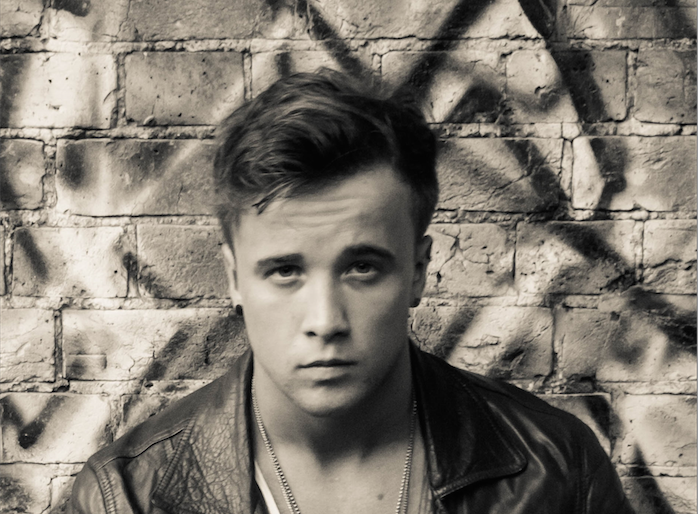 Just Celebrity had an interesting chat with Sam Callahan about his new single ‘Bigger Things’. JC: What made you become interested in music in the first place? S: My interest in music began when I was bullied at school for being, short, cocky and dyslexic, for me it was a way to remove myself from the negativity I was experiencing.When I was 12 I bought my first guitar with my pocket money. It sat in the corner of my room for a while until finally I decided that I didn’t want to waste it. I picked it up and learnt my first 4 chords, I wrote about 20 songs with those chords before I even tried to learn any new ones! It’s always been a way for me to express myself, hence why my music is so real and personal. That will never change. JC: Looking back at XFactor, how did it change your private life? Is there anything you would have done differently? S: It’s funny how quickly people from your past who have doubted your or treated you badly come out of the woodwork and act like you are best friends! I think some peoples attitudes towards you change, but I think this is when you discover who are your real friends and obviously family, as nothing really changes there. They just tend to congratulate you a lot. One aspect of your private life that really does change is your love life! During the show I hooked up with another contestant, right from the start we received tonnes of allegations saying that it was all for publicity and there was even a fake story about cheating too! This was a kind of pressure that neither of us had experienced and it can have a big impact on something that it special to you. I think if I was to get another girlfriend I’d be inclined to keep things private to an extent. However for now, I am all good being a single, besides I’m married to the music and I have my Callafans to keep me company! JC: How did the talent show influence you and your career afterwards? S: I think going on a show such as The X Factor has its pros and cons! I would never be where I am or have the opportunities I have if it wasn’t for the show, for that I am eternally grateful. One of the not so good things though, can be the difference of opinion and conflicting advice you receive from all different areas when you’re in the lime light! I entered the show, with belief in my music and my capability. When I left the show I had lost my direction somewhat. It has taken a while to get that back, but now I’m here, I know exactly who I am and what I am about and I just can’t wait to show everyone! JC: As a starting artist, you have heard of the term ”starving artist” before, how do you cope with major obstacles? S: Good question! I think a lot of people think the music industry is all fun and games! Yet just the other day I heard someone use the phrase, “Isn’t it funny how the luckiest people are usually the ones who work the hardest!”. People often say to those who’ve made it, “Aren’t you lucky!” It’s like, you toil away for years and suddenly you’re lucky. I believe that any obstacle thrown my way will be overcome, as long as I work hard enough! I get up early everyday to allow myself the best chance of getting the most I can possibly get done, done. I tend to write 2 to 3 new songs a week and if I’m not doing that, I’m in the studio recording them, I’m gigging around the UK or I’m online interacting with the Callafans. After all there’s no rest for the wicked. JC: Can you tell me more about your cooperation with Teenage Cancer Trust? Why Teenage Cancer Trust? S: Three years ago I met a young girl called Jayde Allen, she was a fan of mine at the time. Jayde told me how she had just beat Cancer. After a while I got to know her and she explained to me about the trauma and heart ache her battle had caused to herself and her friends and family. Since then, I have visited countless hospitals and brave souls fighting the illness themselves and I have got to see first hand what an impact it has on so many of our lives. I first raised some money for TCT before with a YouTube campaign I did back in 2012 called “The Crazy Campaign.” In 2013, when I embarked on The X Factor tour. Jayde, who at that time had become a friend of mine was battling Cancer for a second time in a hospital in Brighton. One day on tour we were performing at the Brighton centre. Before the show, I got a cab to see Jayde in hospital and convinced the nurses to allow her to come and see our performance. During the intro to my rendition of Jason Mraz’s “I won’t give up”, I saw Jayde in the audience and said into my mic, “This one’s for you”. She told me this stuck with her for a long time. Just about a month and a half ago now, I received a phone call from Jayde telling me; ‘I’m afraid it’s back again.’ She said that because of her previous treatments of chemotherapy, the nurses weren’t sure what her chances are. Now, as a friend there is not much you can do at a time like this. I decided to write Jayde a song to show her how we all believe in her. This is another track on the ‘BIGGER THINGS’ EP and I called it, “This One’s for you!” That is why I have decided to once again team up with The Teenage Cancer Trust. I hope together we can make a difference. JC: If you could pick any artist, with who would you love to work with? S: Can I pick two? I’d love to work with American artist, Jared Leto from 30 Seconds To Mars’, I believe his talent and tenacity is unbelievable! I like to think I’ve learnt a lot from him. I also would absolutely love to work with ‘5SOS’, I reckon they’re great lads and I love their music! JC: What can we expect from you in the near future? S: In the near future, my focus lies with meeting as many of my Callafans as is humanly possible for me and releasing my EP ‘Bigger Things’. There are a couple more releases being lined up as we speak too. I am performing live right now up and down the UK, so if you’re reading this make sure you come and see me soon somewhere near you! In time however, my goals and dreams are set much higher! I LOVE the UK, but we are only a very small part of the world and the two things I believe in the most are my music and my fans. With a lot of hard work and support from my fans, I will be looking to take my music all around the world in the next few years. JC: Thank you Sam and good luck!